green tea and red nails: paris. some words. I know I promised you words about Paris many weeks ago. If you are still waiting, thank you for being patient. If you left long ago, I don’t blame you. To say that settling back into ‘real’ life has been difficult would be a bit of an understatement. But that might be for another post. And let’s be honest, anything compared to Paris is a bit anti-climactic. The plan for Paris was a bit of a spur of the moment thing. My sister, Nicole, had been planning 5 weeks in Europe for over a year and she mentioned in passing that Mum and I should head over for our 2 weeks of school holidays. We had a bit of a joke about it and didn’t think too much of it until Nicole called a few weeks later with accommodation and flight options. Within 45 minutes we had booked ourselves onto some super cheap flights to Paris. We lived as ‘local’ as possible, popping down the stairs and out the gate to the bakery for breakfast croissants. We wandered the streets of Montmarte, stopping for fresh berries; some for now and some for later. We got caught in a crown that we thought was for Kanye, but it turned out to be for some French reality TV stars. We visited the graves of Oscar Wilde, Edith Piaf and Jim Morrison. We stayed out until midnight. We went back to Laudree 5 times to try new macaroon flavours. We spent hours exploring the treasures in The Shakespeare Company. We loved the summer sunshine that stayed until 10pm. 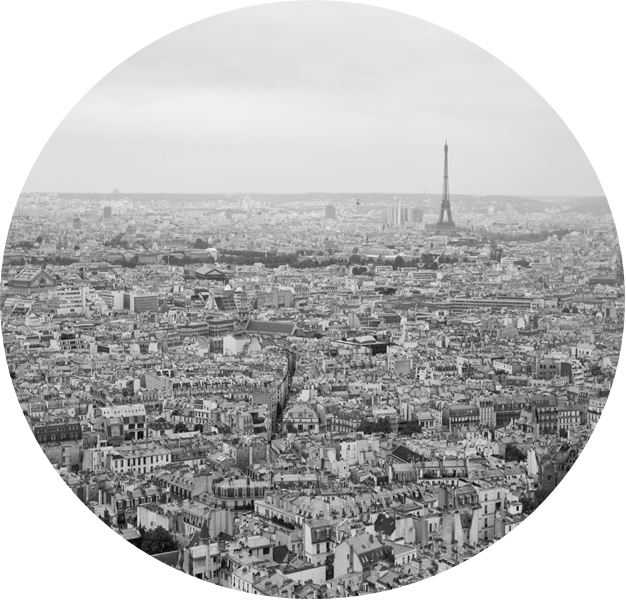 We took hundreds of photos of the Paris skyline. We cruised the Sienne at sunset. We wandered the flea markets and wished for unlimited baggage allowance and unlimited funds. We bought vintage dresses, ribbons and shoes. We searched, unsuccessfully, for a perfectly rustic bread board. We fell in love with Versailles and vowed to read more about French history. We were so enchanted by the RoseBakery that we ordered the cookbook via the Book Depository while still sitting at the breakfast table. We picnicked in front of the Eiffel tour and then read until the sun set. We found that the best crepes were at the ‘tourist’ spots. We almost missed the train to Belguim. We sat in the sun for 6 hours to watch Cadel for 5 seconds – it was beyond amazing. We got completely swept up in the joy and atmosphere of ‘le tour’. We convinced ourselves that bread and cheese counted as a full and balanced meal. We left Paris 15kg heavier than we arrived (I promise that most of this was baggage). I am so excited to finally read your Paris post Kel! Sounds like it was such a magical trip, and now I'm really really excited for one day in the distant future when I can save up and go on a trip to Paris too! I have been waiting for this post! And it has been worth the wait. Your time in Paris sounds absolutely MAGIC. I visited Paris when I was 15 and did not feel or do anything you described, very disappointing really. You have just made me want to fly there right now and experience what you experienced. ahhhhhhhhh sounds amazing! love the photo. i was totally loving the tour de france and wished i was there also! lucky girl! would love to see some of your vintage finds (dresses?? :) from paris! i'm in the middle of my internship now, it is nuts. She really is lucky. Just to be able to walk on Paris grounds are a dream come true for me. I also want to have my vacation there. From what you've incited. Its must be place to visit.